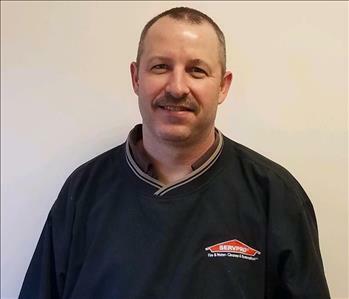 Chris came to SERVPRO with experience in the industry as well as a construction background. He is ready for any disaster. Chris is the Production Manager/Estimator for SERVPRO of Barron, Dunn & Rusk Counties. He will make it "Like it never even happened." Chris's Certifications are the following: WRT - Water Restoration Technician FRST - Fire & Smoke Restoration Technician Lead Certified. Jon Schutts came to us from the construction industry. His expertise in construction for over 15 years is a great asset to SERVPRO. He is a Production Manager for SERVPRO of Barron, Dunn & Rusk Counties. He is ready for any disaster! Jon is certified from the IICRC with the following: WRT - Water Restoration Technician, FRST - Fire and Smoke Restoration, ASD Applied Structural Drying, Lead Certified. Jon also has all of the Employee Crew Training Program courses completed. Which consist of the Crew Training Course, Water Damage, Fire Damage and Carpet and Upholstery. Matt Rydel is a Crew Chief. He came on board with us in June 2014. He is a great asset to the team with his extensive background in painting. Matt is a guy that is able to get anything done with the here to help attitude. Matt is IICRC in WRT Water Restoration Technician. Matt is also committed to our Employee Crew Training Course Program and certified in the Crew Training as well as Water Damage Restoration. Jasmine is Production Technician working hard to become another Crew Chief at SERVPRO of Barron, Dunn & Rusk Counties. She is ECTP certified in our crew training course, water, fire and carpet courses. Jasmine is certified with the IICRC in ASD (Applied Structural Drying) WRT (Water Restoration Technician). Jasmine is a great asset to SERVPRO with all of her years of customer service experience. She excels at dealing with our customers that are going through difficult times in their life whether it be a water damage or fire Jasmine is "Here to Help". Beth is a new addition to the office at SERVPRO. She is extremely caring and has compassion to handle our customers at the time of need. Beth has a back ground of child care and office work throughout her life, which is why she is an asset for SERVPRO and Beth enjoys helping people. Jake Erickson has 3 years prior experience in the restoration business before coming to SERVPRO. He is trained in duct cleaning, carpet cleaning, and water mitigation. He is going through crew training for SERVPRO and has been with us for 1 year. Jake, in his spare time enjoys hunting and fishing. He is a graduate of Boyceville, although soft spoken he is a excellent hard worker. Jake also helped out this year with storms located in La Crosse, WI along with Hurricane Irma in Jacksonville, FL. Jake is truly a asset to our team with his eagerness to help anyone in the time of need. Troy Kuhn is the Office Manager and has a degree in Administrative Management. He has been with SERVPRO for 6 months. Troy comes to SERVPRO with an extensive amount of years with a large corporation which allows for him to be a strong asset to our team as we continue to grow and develop office processes. Troy has been married to his wife Heather for 25 years and they share two children Jordan and Morgan. Troy raises a large garden every year and he has coached varsity boys and girls basketball for 20 years in Boyceville. Troy enjoys anything sports and also going up north to his cabin. Deb has been with SERVPRO for over a year. Deb is part of the office team! She is a great asset to our team as she helps with whatever project needs to be completed. Deb has come from large amount of experience in customer service. Deb enjoys Country Fest with the ladies, spending time with all of her children and Grand Children. Mike has been with SERVPRO of Barron, Dunn, and Rusk Counties for 1 1/2 years as a Production Technician. He came to us with 2 years of experience in the fire and water restoration and carpet and upholstery cleaning. He is IICRC certified in water and carpet and upholstery cleaning. He is a volunteer firefighter in his community and has been married to his wife for 6 years and they have 3 children. Catch Mike and say hi when you see him out in the field! Shawn Mahder has just recently started with SERVPRO of Barron, Dunn, and Rusk Counties. He is working hard to obtain all of his certifications. He has a 5 year old son that he enjoys pontooning and fishing with. In his spare time he also enjoys mountain biking, snowmobiling, and Ice fishing. Please give Shawn a friendly hello when you see him out in the field. James is our new Production Technician at SERVPRO of Barron, Dunn, and Rusk Counties. 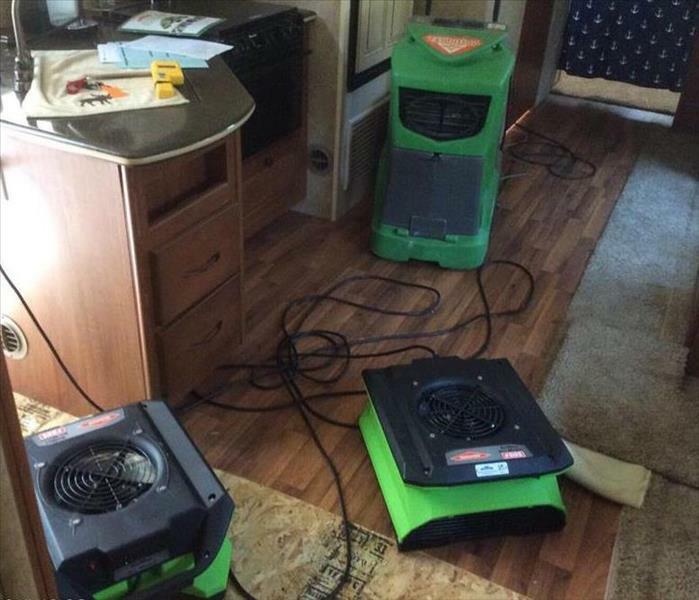 But he doesn't come to us without any experience, he has been with SERVPRO of Hayward for over 1 1/2 years. He is a young man that was determined to get into the workforce right after graduation. James has completed the SERVPRO Employee Crew Training Course along with the SERVPRO carpet cleaning, and water damage technician courses. He is IICRC Certified for Carpet Cleaning and Water Damage. When he is not working at SERVPRO he enjoys working on his race car and getting to race on the weekends. James also enjoys hunting. Please welcome James to the area! Shara is a Production Technician at SERVPRO of Barron, Dunn, and Rusk Counties. She has been with us for about 3 months now and is completing job training and certifications. She enjoys spending time with her husband fishing and hunting. Also she has two dogs that she enjoys being with as well. Please welcome Shara! Cody Thiess is our new carpenter at SERVPRO of Barron, Dunn, and Rusk Counties. He has 15 plus years experience in residential construction, and has ran a small family business in the area. He enjoys spending time with his wife and kids. Nicole Allen is a Production Tech at SERVPRO of Barron, Dunn, and Rusk Counties. She has a background in first aid and operating machinery. She is the mother of 3 boys that keep her busy along with her animals that she enjoys. Please welcome Nicole when you see her in the field. Johnathon Burhite is a Technician at SERVPRO of Barron, Dunn, & Rusk Counties. He has several years of experience in the restoration business. He has worked also for home remodeling and repair companies. He has served in the Army, and enjoys horseback riding, snowmobiling, and farming.